Photographer's Showcase artist Michelle Frankfurter is looking for help funding the final part of her on-going series Destino, a powerful project documenting the perilous journey of undocumented Central American migrants. 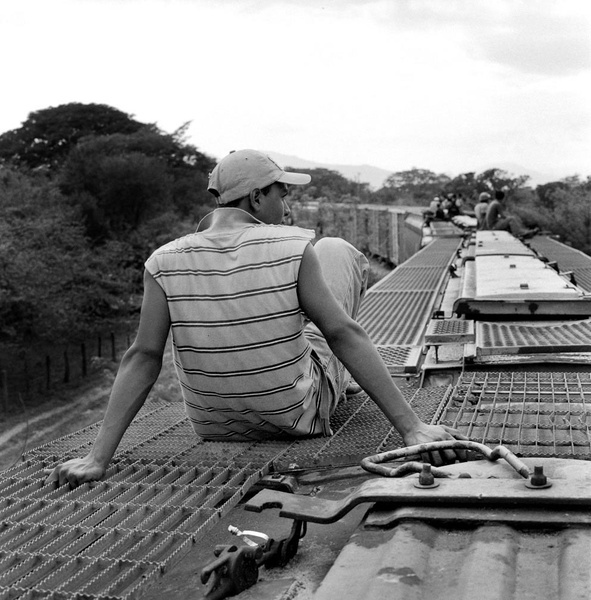 Crossing Mexico by freight train, the migrants seek to cross the border into the United States. Frankfurter has photographed all but the last step of this trip, from crossing El Suchiate river from Guatemala into Mexico, through Chiapas, Oaxaca, Veracruz, Mexico City, San Luis Postosi and Saltillo. So far, this project has been all self funded, and taken on without a guide. Because of the dangers of shooting along the border controlled by drug cartels, Frankfurter is reaching out through Kickstarter for financial help to hire a fixer while she completes her project. So far the response has been tremendous -- her goal has already been met, but more help is always valuable. Check out Frankfurter's Kickstarter page for more information about her project, including a video and blog posts. We'll be releasing a new portfolio from this project on the Photographer's Showcase as well as an interview with Frankfurter early next month. In the meantime, Frankfurter's current portfolio can be seen on the Photographer's Showcase here. 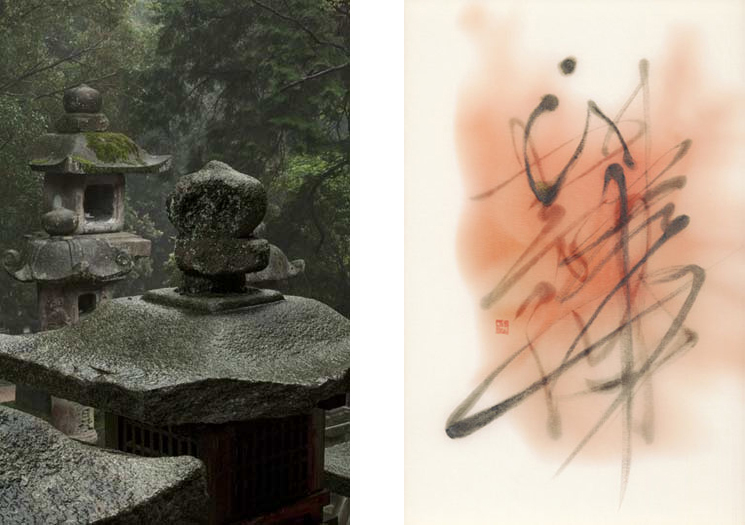 Showing concurrently at The Crow Collection in Dallas are two exhibitions of work by photo-eye Gallery artists, David Gibson: Toward Kasuga Shrine Along Pathways of Lanterns and Word Spirit: Calligraphy, Paintings, and Photographs by Chaco Terada. Gibson's images investigate the ancient stone lanterns along the pathway to the Kasuga Shrine. "These visual and historic elements offer a transporting and a calming experience. Kasuga Grand Shrine is a place of refuge and contemplation.” Terada presents a small retrospective of her work over the past ten years. "Terada, living in a culture where English is the common tongue, experiences the sensation of kotodama—the spiritual power of words—in calligraphy, where she comes back to the language of her heart. From calligraphy, she has extended this power to other art forms using photography and ink and color on paper and silk." Both exhibits close on May 5th. See David H. Gibson's work here. Chaco Terada's work can be viewed here. Tom Chambers' photograph Winged Migration is on the cover of the current issue of Photograph Magazine. You can read Lyle Rexer's essay on selecting Chambers for the cover here. Entropic Kingdom, Chambers' first publication of this series from ModernBook is due next month -- preorder a signed copy here. See Chambers' work at photo-eye Gallery here. Finally, we are proud to report that the Google+ video on Mitch Dobrowner and his storm series has been viewed 1,000,000 times! If you haven't seen it yet, you can catch the video here. See Dobrowner's work at photo-eye Gallery here.